What is the marketing plan for HSBC bank Australia, also describe about HSBC, Micro and Macro factors, consumer perception and behavior and marketing mix? 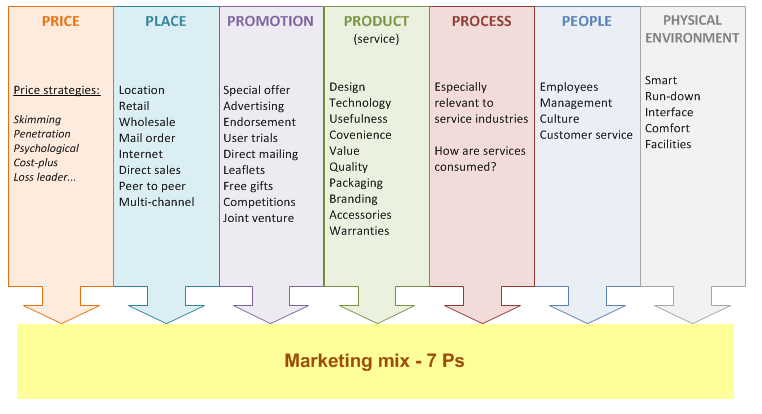 Process of marketing is a critical element of an organisation. Marketing can be defined as an action or business of promoting and selling products or services, based on customer requirements. Marketing also has specific focus on research and advertising. Since the time, industrial revolution started, there has always been need of marketing efforts by the organisations to sell their products to their potential customer. Marketing strategies such as targeting, segmenting and positioning of the product or service is essential for the future success of the product (Baker & Hart, 2008). In modern era, marketing has become an important tool for the companies to sell their products. Purpose of this task is to prepare a marketing report on an organisation named as HSBC (Hongkong and Shanghai Banking Corporation). Through this marketing report, potential strategy for marketing of HSBC Bank, Australia will be analyzed. Does The Intricacy of The Topic Intimidate You? Tame Your Fear with Unmatched Assignment Help Services from Professional Writers. In Australia, HSBC Bank got its banking license in 1986, even though it was present in Australian market since 1965, as HSBC Finance Company Limited. HSBC Bank Australia is part of the global HSBC Group. Within Australia, HSBC Bank has established itself as one of the leading banks with range of banking services and products in retail, commercial and institutional sectors (Bickhoff et al, 2014, pp.47-110). Within Australia, HSBC functions through its 25 branches as well other direct channels. Compared to its existence in the country, it can be said that growth of HSBC in Australia has been relatively slow, even though HSBC in Australia plans to ramp up its branches to 100 from 25, but it will require a well-planned marketing strategy, with focus on various banking and financial products it can offer to the Australian Market (Armstrong & Cunningham, 2012). When a business organisation decides to expand its foot print, it becomes important to do so, after a prior planning of marketing process. Marketing is an important element of the overall business strategy, as it helps the business organisation like HSBC to identify it potential customer base, create specific customer segment, and then launch targeted promotional and advertising campaigns and other efforts to publicize its products and services. It will not be wrong to say that irrespective of the glorious history of an organisation and its presence in the market, if the organisation is not able to innovate, and launch new products and services from time to time, then in a highly competitive environment such organisation might cease to exist. However, even if a company is good in innovation, if it is not able to portray its products and services to its target customer base, then also possibilities are high of a product failure. In order to avoid such situations, marketing strategy is prepared by the organisation (Peñaloza et al, 2013). Marketing strategy lays down the road map about the entire process of marketing, which involves various aspects starting from product design, till customer servicing. Hence, purpose of this task is to suggest a marketing strategy for the HSBC Bank in Australia so that it can successfully expand its business by opening new branches, and offering new products and services to the end customer. A market segment can be defined as group of customers who have homogenous set of requirements or needs. Before market segment for HSBC is defined, it is important that market segment should have attributes such as accessibility, measurability, large size and profitability. If these attributes are fulfilled by a segment then it is worth trying from the organisation to create a specific segment (Voorhees et al, 2011, pp.4-14). Currently HSBC is popular for commercial banking in Australia, as more than 75% of its customer base is derived from the commercial customer segment. In retail baking segment HSBC has a long way, before it can catch-up with other banks such as Commonwealth Bank, ANZ Bank, Westpac, National Australia Bank, Bendigo Bank and Suncorp Metway etc. All total there are 56 banks in Australia today, in which 12 are domestic, 9 foreign subsidiary banks and 35 foreign branch banks). In terms of leading banks, there are four major domestic banks which have dominated the retail and commercial banking spectrum in Australia. These four banks among them account for more than 77% of the resident assets as at fourth quarter ending in 2010. In this regard, foreign banks like HSBC along with other similar banks have a market share of 13.4% (Weinstein, 2013). HSBC needs to understand that there are multiple segments which can create, however it needs to identify its core competency and accordingly create a segment. Commercial banking in Australia is already dominated by top four domestic banks mentioned above, which occupy more than 77% of total market share. In this scenario, it will be difficult for HSBC to expand its services in the commercial banking (Hassan & Craft, 2012, pp.344-356). However, in retail banking sector, there is plenty of scope. Firstly there is large population of Australia which belongs to age group of 18-35 years. This age group contributes to 30% of the total population of Australia. Hence, this age group can be taken up as a potential segment for the retail customer (Doole & Lowe, 2012). This age group basically includes people who are just out of college, and have entered professional life or doing some type of business as an entrepreneur. Even though net-worth of customers from this segment might not be very high, but they are spenders, which means unlike higher age group, people from age group of 18-35 years love spending money on shopping etc. that means there is not only scope for HSBC in terms of saving accounts but also for expanding its credit cards services to these segment of customer (Ferrell & Hartline, 2012). Hence, the segment which will be created for this marketing strategy will be for potential customers in the age group of 18 years to 35 years. Based on the customer segment defined above, HSBC’s target segment will include people in age group of 18 to 35 years of age. It is important to understand that these potential customers might also be existing customer of any other bank as well. Within the main segment of 18-35 years of age, there can be sub segments as well (Fifield, 2012). For example from 18-25 years of age there can be a sub-segment of customers who have basic requirements such as personal banking services and credit cards, whereas people from 26 to 35 years of age might have requirements related to financial products such as mutual funds, credit cards, personal banks, personal financial services etc. Hence, accordingly HSBC should target these two sub-segment of customers under is main segment. Positioning of HSBC will be an important factor in deciding its success or failure related to its expansion plan. As discussed above, HSBC along with other foreign banks have collective share of 17% of the domestic banking segment, which means HSBC has yet to establish itself has a powerful banking brand. One major reason behind its stalled growth is the brand perception (Lovelock, 2011). Domestic banks in Australia have projected themselves as one of the most reliable and easily accessible banks present in Australia. Local factor also allow these domestic banks as it gives its customer a trust factor which is low for foreign based banks. Hence, HSBC should position itself as a global bank which has established itself in Australia after immense success in other parts of the world. That is why; HSBC should focus on positioning itself as a highly successful bank across the world with tremendous power of its brand (Terpstra et al, 2012). Customers are today aware of various banks functioning across the world, however HSBC needs to invoke its international exposure and innovative banking products in order to convince its target customers, and position itself as a global yet local bank of Australia. As an organisation, HSBC bank has vast array of experience in banking and finances sector. HSBC as an organisation is one of the largest bank at global level with presence in almost every important and commercially active country (Ghosal, 2013, pp.24-37). HSBC’s product and services portfolio can be categorized mainly in savings and investments. HSBC has proved itself as a competent financial organisation with range of products in Australia and other parts of world. In context of Australia, HSBC can be categorized as a foreign-owned bank subsidiary. Following are some of the competitors for HSBC in Australia who are also part of HSBC’s category of foreign-owned bank subsidiary. Over a period of time, HSBC has diversified its services from being a complete financial firm which focused mainly on commercial segment towards inclusion of personal banking as well. Today, HSBC not only caters to commercial and institutional customers, but also focuses on the retail and personal banking customers (Chikandiwa et al, 2013, pp.365-381). Hence, it has stock investments related products, personal banking products and various other retail products like credit card etc. Every business organisation is effected by various macro as well as micro factors. Macro factors are the one which can be either internal or external to the organisational environment. Macro factors are mainly the factors which cannot be controlled by the organisation, and might have impact on the decision making process of the organisation (Turnbull & Valla, 2013). These factors include global, economic, demographics, legal/political, social-cultural, and technological changes. In order to analyze the macro factors impacting HSBC Australia, its PEST analysis can be conducted. PEST analysis examines political, economic, social, and technology related factors which might have impact on the organisation. Political aspects: HSBC Australia has been following the banking industries code of conduct and other financial regulations laid down by the government of country. It also works closely with Reserve Bank of Australia (RBA) which is the central bank of Australia and regulates the banking industry in the country. Hence, since its inception in 1960s as a financial firm, HSBC has always complied with the regulatory guide lines laid down by central authorities. Furthermore, the company also formulates their own protection strategies against any governmental restrictions and limitations (Peck et al, 2013). Economic aspect: HSBC as a foreign bank in Australia has a collective market share of 17% along with other foreign banks. However, HSBC has a strong financial background mainly due to its global backup. Over a period of time HSBC has been mainly successful in commercial banking activities, as part of which HSBC has provided commercial loans in billions of dollars to its commercial customers. Compared to other parts of world, HSBC has been functioning in a stable market conditions, and its stock has also increased gradually over last few years (Chakravarthy & Coughlan, 2011, pp.27-32). Social aspect: HSBC as a banking organisation has major impact from social aspect. For example, in 2011-2012 more than 45% of the Australian population saved money in their saving accounts rather than spending the excess money they had. Due to economic volatility, purchasing power of people drop significantly. It has positive as well as negative impact on the bank. Firstly, due to sluggish economy, purchasing power of people have reduced hence, there dependency on products like credit card has increased significantly, which is beneficial for the customer. However slowing economy also impacts the saving pattern of a retail banking customer as well as commercial customer. Commercial customer avoids taking money on loan due to fear of non-payment of the loan. That is why at times it might happen that HSBC might struggle in finding a balance between the two (Boone & Kurtz, 2013). Technology has played major role in boosting the prospect of HSBC in Australia. People are now getting inclined towards use of net banking, e-payment etc. This has been only possible due to rapid change in the technological landscape related to banking industry in Australia (Gilligan & Hird, 2012). Consumer perception plays a major role in success or failure of a brand/product/service. That is why it becomes important for an organisation to understand that its marketing strategy should always have focus on identification of consumer behaviour and perception towards the brand, this helps in preparing the marketing strategy (LIU et al, 2014). In case of HSBC, it has setup its business as a foreign bank in Australia. Over a period of time HSBC has moved from being a finance based organisation towards becoming full-fledged banking organisation. However, in terms of perception, there is lot of activity required from HSBC’s front to create a more friendly perception about the brand. In a recent concluded survey by Banking Association in Australia, it was revealed that more than 75% of the people surveyed, they will prefer banking with a domestic banks. Factors behind this decisions was related to brand perception, and accessibility of the bank. In case of HSBC, it is perceived by a potential customer that HSBC is more focused on commercial and financial banking aspect. This perception might also be due the fact, that initially in 1960s HSBC started its business in Australia as a finance organisation. Hence, people who can be the potential customer for the retail banking still shy away from HSBC bank as their preferred banker due to this perception (Taleghani et al, 2011, pp.78-86). Another, important customer behaviour is the preference given to the banks which are easily accessible. Even though in age of internet banking, people are preferring banking through internet, however despite of this trend there are vast number of customers who still prefer a bank which is easily accessible. In this regard, domestic banks in Australia have an edge over HSBC. HSBC has only selected branches mainly at commercial locations. On other hands number of branches operated by other domestic banks is far more than HSBC. This is one major reason behind lack of personal banking customers for HSBC, Australia (Pavlou & Stewart, 2015). Hence, it is important for HSBC to change this perception. In this regard, HSBC Australia, can first ensure that they should portray their brand as a completely Australian unit rather than portraying as a subsidiary of its global brand. Secondly, HSBC should focus on opening up new branches in commercial as well as few residential areas. That will enable it to capture more of the personal banking customers. Price: Pricing component is a critical factor which decides the future of product or service being offered. In case of HSBC, since it is targeting customer for its personal banking services hence it should focus on offering competitive rate of interest for its saving account. People deposit their money in the bank if they get an attractive interest rate, hence HSBC should try to identify an attractive rate of interest as per the market situation, and offer it to its customers. For its other products like credit card, the grace period of interest period for the purchase done on the credit card should be more than 50 days. Considering the target customer base, this move of pricing will enable HSBC to gain more customers. Place: The place element involves delivering the product element to customers through appropriate methods and delivery channels. In case, of HSBC since it is targeting youth segment hence one important aspect with this segment is that they are technology savvy, due to this reason use of internet, smart phones, laptops etc. is high in this group. Hence, in terms of channel for delivery of its services it should focus extensively on scaling up its online banking portal, and try to include every possible service which it offers through the physical bank branch to the customer. This will also help HSBC in reducing its operational cost on the physical branch. HSBC should also launch its mobile applications through which its customers can access their banking services from their smart phones itself (Pavlou & Stewart, 2011, pp. 29-36). Promotion: With a new marketing strategy, it is important for HSBC to focus on innovative ways of promotion. It can use social media networks such as Twitter and Facebook to connect with its potential customer segment. Promotional e-mails, tweets, and informative posts on Facebook should be posted regularly. Promotion should be focused more on engaging customer with the brand. People: From people’s aspect, HSBC should first ensure that it is able to deliver flawless customer service to its end customer. Segment which it is targeting is a volatile segment which doesn’t sticks with a brand if the customer service is not good. Secondly, HSBC should hire local people to support its operations. However, recruitment of people should be less and focus should be more on pushing virtual banking. Process: Often it has been seen that many people do not associate themselves with a bank due their cumbersome process. In this regard, HSBC should focus on simplification of its existing processes. For example rather than a customer coming to a bank for opening an account, bank executives should visit customer to collect his detail. Such level of services will make the entire process for the end customer extremely convenient. Product: in terms of product, HSBC should be following a linear strategy, which means that currently it should focus on consolidating its existing product portfolio such as personal banking, credit cards, investment plans etc. within these products it should try to innovate with different schemes such as varying interest rates etc. Physical environment: In terms of physical environment, it can be said that HSBC should ensure that its new branches are located near residential areas and educational institutes. Currently, HSBC’s operation is concentrated more in the business regions of Australia. Hence, in order to reach to personal banking customer HSBC should be focused on expanding its branches in different regions. Based on the above marketing plan it can be said that, HSBC is yet to achieve major success in Australian banking industry. Currently Australian market is dominated by more than 56 banks, out of which 77% of the total industry share is with top four domestic banks in Australia, this aspect reveals that there is tremendous potential for HSBC Bank to expand its services. However in clutter of several banks and financial institutions. HSBC should focus on providing high level of customer service and secure banking services. In present marketing environment, any organisation which can offer high quality customer service to its end customer is capable of dominating the market. Ultimately, HSBC Bank needs to seamlessly integrate its products, customer services and overall business and pricing strategy in such a way that it should be highly convenient and beneficial for the end customer. Armelini, G. U. I. L. L. E. R. M. O., & Villanueva, J. U. L. I. Á. N. 2011. Adding social media to the marketing mix. IESE insight, 9, 29-36. Armstrong, G., & Cunningham, M. H. 2012. Principles of marketing. Pearson Australia. Baker, M. J., & Hart, S. J. (Eds.). 2008. The marketing book. Routledge. Bickhoff, N., Hollensen, S., & Opresnik, M. 2014. Step 2: Strategic and Operative Marketing Planning—Segmenting, Targeting, Positioning. In The Quintessence of Marketing (pp. 47-110). Springer Berlin Heidelberg. Boone, L., & Kurtz, D. 2013. Contemporary marketing. Cengage Learning. Chakravarthy, B., & Coughlan, S. 2011. Emerging market strategy: innovating both products and delivery systems. Strategy & Leadership, 40(1), 27-32. Chikandiwa, S. T., Contogiannis, E., & Jembere, E. 2013. The adoption of social media marketing in South African banks. European Business Review, 25(4), 365-381. Doole, I., & Lowe, R. 2012. International marketing strategy. Cengage Learning. Ferrell, O. C., & Hartline, M. 2012. Marketing Strategy, Text and Cases. Cengage Learning. Fifield, P. 2012. Marketing strategy. Routledge. Ghosal, S. N. 2013. A pragmatic strategy for banks to counter recession is to garner funds and encourage entrepreneurship focus on reticular activity trend and not be cauldron for politicians and bureaucrats. SAARJ Journal on Banking & Insurance Research, 2(5), 24-37. Gilligan, C., & Hird, M. 2012. International Marketing (RLE International Business): Strategy and Management (Vol. 17). Routledge. Hassan, S. S., & Craft, S. 2012. Examining world market segmentation and brand positioning strategies. Journal of Consumer Marketing, 29(5), 344-356. LIU, M., LIU, T., & ZHANG, T. J. 2014. A Comparative Study of the Differential Marketing Strategies of Four State-Owned Commercial Banks. In Finance Forum (Vol. 6, p. 005). Lovelock, C. 2011. Services Marketing, 7/e. Pearson Education India. Pavlou, P. A., & Stewart, D. W. 2015. Interactive Advertising: A New Conceptual Framework Towards Integrating Elements of the Marketing Mix. In New Meanings for Marketing in a New Millennium (pp. 218-222). Springer International Publishing. Peck, H., Christopher, M., Clark, M., & Payne, A. 2013. Relationship Marketing. Routledge. Peñaloza, L., Toulouse, N., & Visconti, L. M. (Eds.). 2013. Marketing management: A cultural perspective. Routledge. Taleghani, M., Biabani, S., Gilaninia, S., Rahbarinia, S. A., & Mousavian, S. J. 2011. The Relationship between Customer Satisfaction and Relationship Marketing Benefits. Arabian Journal of Business and Management Review, 1(3), 78-86. Terpstra, V., Foley, J., & Sarathy, R. 2012). International marketing. Naper Press. Turnbull, P. W., & Valla, J. P. (Eds.). 2013. Strategies for international industrial marketing. Routledge. Voorhees, C., McCall, M., & Calantone, R. 2011. A new look at the benefits of improving segmentation efforts with reward programs. Cornell Hospitality Reports, 11(11), 4-14. Weinstein, A. 2013. Handbook of market segmentation: Strategic targeting for business and technology firms. Routledge.